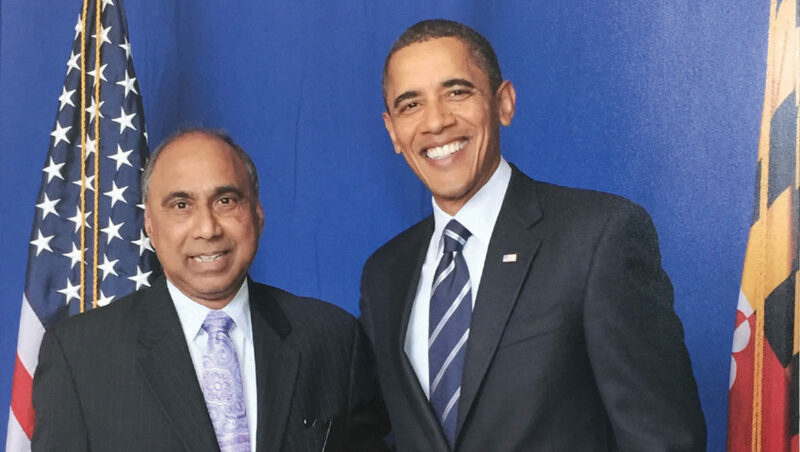 Frank Islam with Barack Obama, Former President, United States of America. 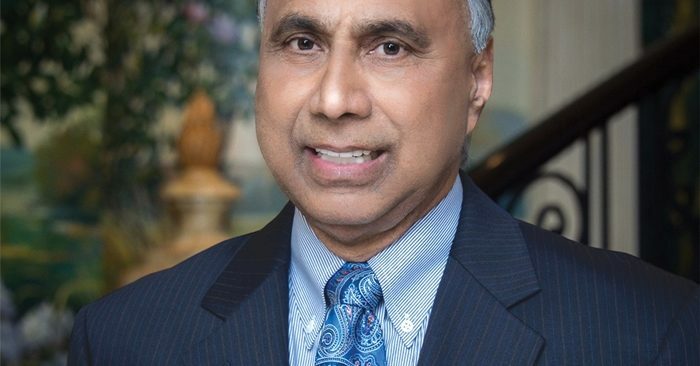 To whom much is given, much is expected.” John F. Kennedy’s words are exemplified by Dr. Frank Fakhrul Islam, the dynamic entrepreneur, thought leader, writer and philanthropist, who is an inspiration to countless youth and entrepreneurs in his native India and his adopted homeland, the United States of America. Frank is the Head of the FI Investment Group LLC (FIIG), an investment firm he established in 2007 after he sold the QSS Group, his information technology firm, to Perot Systems. As the Chairman and CEO of FIIG, he provides direction to and oversees the company’s multi-faceted activities. In addition to being an entrepreneur, Frank is a civil rights advocate, author, TV host, art connoisseur, thought leader and political activist. He serves on the board of many public and civic bodies; has created a foundation for funding education, the arts and culture; has been recognized by numerous organizations for personal, professional, and public achievements; and has authored books on critical issues that will shape America’s present and future. Frank was a major contributor to Barack Obama’s and Hillary Clinton’s Presidential campaigns and is considered an influential voice of American Muslims in America. Despite achieving substantial success, Frank has chosen a life that is grounded in his roots. He often reminisces about his beginnings and marvels at his journey so far. His achievements have strengthened his belief in hard work and kindness. Education, enterprise, risk-taking and social responsibility are values that Frank practices and preaches. When asked the reasons behind his rise, Frank says, “If someone is listening to me I always tell them that ‘you need to aim high, you need to work hard, and always pursue your dreams’. The time that Dr. Frank spent in AMU did more than just equip him with knowledge and education; it also shaped his strong belief in the value of education. He asserts education is a powerful equalizer that uplifts people’s souls and gives them not only knowledge, skills and abilities but also dignity and hope. Frank left AMU to immigrate to the United States to continue his education and prepare for his career. He entered the University of Colorado in Boulder and got his Bachelor and Master’s degrees in Computer Science from there. Recalling his struggle to fit into American society, Frank feels his differences never bogged him down. He has nothing but the greatest gratitude to the country that gave him opportunities to excel and become the person that he is now. At the same time, he feels a compelling need to serve his motherland. Frank feels that poverty in India – especially among the Muslim minorities – can be eliminated if and only if disadvantaged youth can get an education. To this end, he has established a school in Azamgarh in the memory of his mother. He hopes to build a fine college and university there someday as well, much like his alma mater of AMU to which he donated USD 2 million to help establish the Frank & Debbie Islam Management Complex. Frank has given back to his hometown and India in other ways. Through his various foundations, Frank funds the education of many youngsters from Azamgarh who are studying at AMU. He has also brought several students from AMU to the United States and helped them to get good jobs. Because of his dedication and philanthropic works in the field of education and providing support to the students, Frank Islam was awarded an honorary Doctor of Science degree from Aligarh Muslim University in 2016. 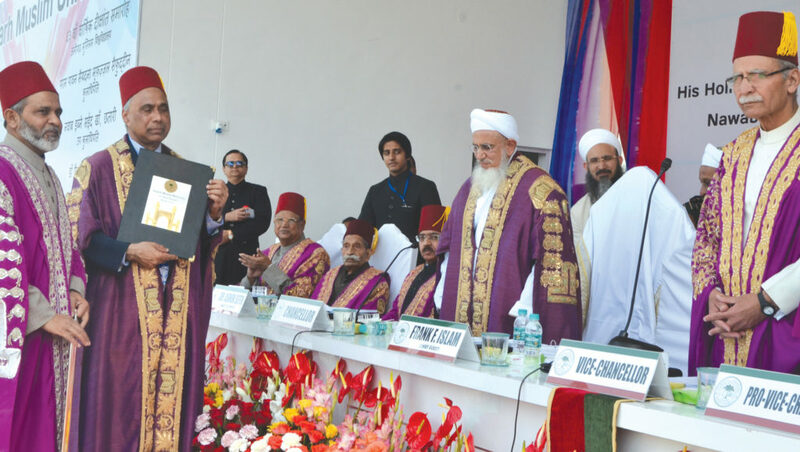 Islam was the 42nd recipient of the honorary degree awarded by AMU. Other recipients include singer A.R. 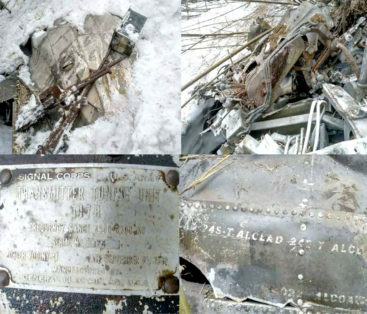 Rahman (2009), thespian Dilip Kumar (2002) and former President of India Late Dr. A.P.J. Abdul Kalam (2008). 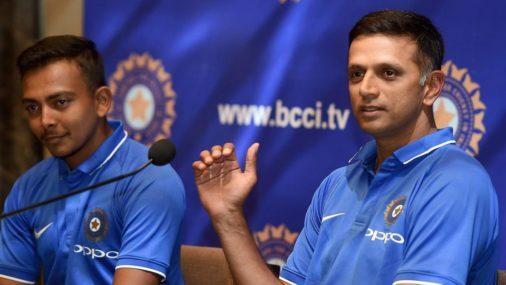 During his acceptance speech for the degree, Frank commented on the fact that Aligarh Muslim University provided him with the education he needed to succeed and that he owes his success to his alma mater. The education and values he received from AMU always stayed with him when he explored new avenues in the United States. 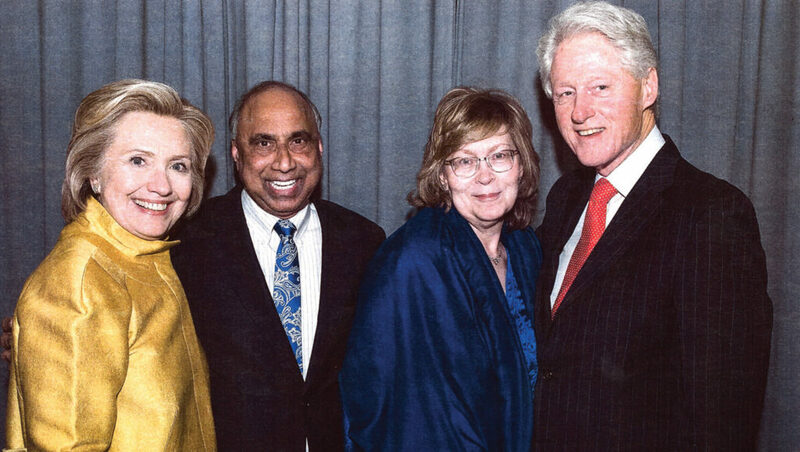 Frank Islam and wife Debbie Driesman with Hilary Clinton and Bill Clinton. After completing his education, Frank worked for a few IT companies starting his career like most people. It was while working in those jobs that he gained the experience to pursue his lifetime goal of becoming an entrepreneur and running his own business. Late in 1994, he decided to establish the QSS Group with just $500 in his pocket. Frank describes the transition period from employee to an entrepreneur as a dark, desperate period. He had no investors, no insurance, and no fall-back plan. He had taken a huge risk that could pivot either way. But, he combated negative apprehensions with optimism, ingenuity and creativity. Frank feels it’s always better to take calculated risks in business rather than to hold back for fear of failure. He worked hard and built the business from 1 employee (himself) to 3000 employees and was able to generate revenues worth $300 million per year in a span of only 13 years. In 2007, he sold the company for more than $250 million. Frank was an active participant in the fields of Information Technology, Aerospace Engineering Services and Systems Integration for more than 25 years. During that tenure, he was recognized for his IT achievements receiving multiple awards including the Ernst and Young Award as Maryland Entrepreneur of the Year in 1999, and The U.S. Small Business Administration award as the Small Business Person of the Year in the Washington D.C. Metropolitan Area in 2001. After the sale of his IT firm, Frank embarked on the next stage of his journey focusing on philanthropy and active involvement and participation in areas that will make a difference in the United States of America and the world. He established a foundation that invests in the areas of education, art and innovation. Dr. Frank’s exemplary service in the education sector has led to his designation as a Board Member of many educational institutions such as American University in the Emirate’s (AUE) Board of Trustees; University of Technology, Malaysia (UTM) International Advisory Panel; and, George Mason University School of Management Dean’s Council. In addition to his involvement in education, Frank speaks and engages actively in a number of other important areas including politics, civic responsibility, and equal rights. He serves on a number of boards such as the Strathmore Center for the Arts (located in Montgomery County, Maryland), as well as chairing the State Democracy Foundation. He also serves on Board of Trustees of the John F. Kennedy Center for the Performing Arts; and the Kennedy Center International Committee on the Arts. Frank is a writer. He feels the U.S. is in a pivotal period. He sees the first decade of this century as one of decline for the nation. He believes the current decade will be a decisive one and that the decisions and actions taken will determine the future of America and the American dream. Frank took to writing because he recognized the need to inspire American citizens to embrace change and move forward. He has authored two books – Working the Pivot Points: To Make America Work Again (2013) and Renewing the American Dream: A Citizen’s Guide for Restoring Our Competitive Advantage (2010). Frank writes regularly for reputed publications such as the Huffington Post and occasionally for Foreign Policy, the International Business Times and the Economic Times of India. He also writes columns for Indo-Asian News Service (IANS), India’s largest Independent News Service His writings address the need for a change in mindset and actions and spells out strategies that can be implemented to make the world a better place in which to live. Frank hosts his own television show Washington Current Review on MHz Networks. He invites and interviews notable personalities on a variety of topics that are of public interest. Through his show, Frank delves deeply into issues pervading modern American society. Frank is often called upon to share his views during the various entrepreneurial, educational and non-profit events. As a knowledgeable person, his interests are not just limited to business, education, poverty and inequality but also delve into politics and public policy, immigration, manufacturing, leadership, citizenship and social commentary. Through his tenacious efforts, Frank Islam has become an authority in public and political circles in the United States. He exemplifies a perfect balance between entrepreneurship and philanthropy. His story is inspirational to those who understand the need for corporate leaders and to set the standard for corporate social responsibility both within their organization and in the public arena as well. Following his efforts in various fields, Frank has been recognized for his leadership at multiple stages. In 2014, he received the Indus Entrepreneurs Legends Award and in 2015, the Martin Luther King Jr. Legacy Award for International Service. 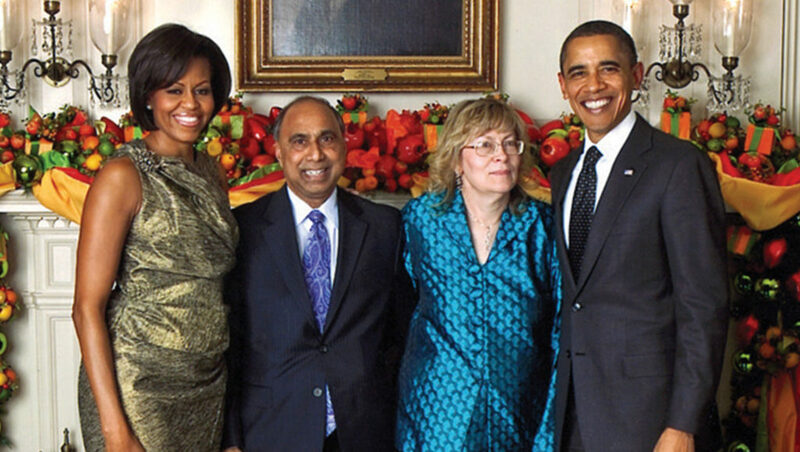 Frank Islam and wife Debbie Driesman with Barack Obama and Michelle Obama. Frank Islam differs in his approach to philanthropy. He believes that philanthropy instead of charity can bring about a positive change in the society. He equates charity to a hand-out and philanthropy to a hand-up. Charity, he believes, doesn’t eliminate the root cause of problems, whereas action-oriented philanthropy either creates measurable change or creates individuals who become the change agents. An illustration he often quotes to depict his perspective on charity and philanthropy is that of an underprivileged neighbourhood with a contaminated water supply, resulting in many people falling ill and requiring immediate medical attention. 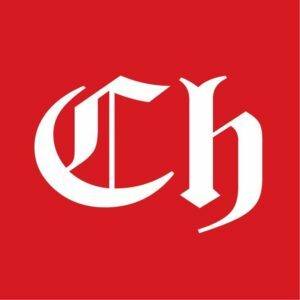 In such a situation a charitable organization would fund medical treatment of the diseased, but a philanthropic body would investigate the underlying cause of the problem and take actionable steps to prevent future outbreaks. Frank calls this brand of philanthropy – Purposeful Philanthropy. He feels anybody can become a purposeful philanthropist; one doesn’t need abundant resources, just the desire and time and talent, to make a real difference. According to Frank, every citizen of the world should pick his or her areas of concern (pivot point areas) and make some investment to make it better. By investment he means the effort, time and money; one puts in to make an impact that is meaningful. For his purposeful philanthropic endeavours, Frank has picked four pivot point areas – education, world peace, art and civic engagement. He firmly believes that these aspects are really essential for societies to grow and thrive. He elaborates the reasons behind his choices as follow. I chose education as a pivot point because it is a great equalizer. It helps people move up the ladder and others move along with them. Education is a gift that keeps on giving Hence, investment there is solid equity that gives assured returns. I chose Art because I consider it a unifying and healing power. I embrace John F. Kennedy’s words, “Art nourishes the roots of a culture.” Art connects and inspires citizens and communities. Art represents the best of our humanity. I chose World Peace because we’re living in a dangerous place. Deadly threats abound and harmony must be maintained in order to grow and prosper. I chose Civic Engagement because the involvement of citizens can keep democracies such as India and the United States vibrant and vital. For each pivot point, Frank dedicates his personal time and monetary support to bring about positive change. Dr. Frank serves on the board of many pertinent institutions such as Kennedy Center Board of Trustees, the U.S. Institute of Peace, the Woodrow Wilson Center and the Brookings Institution. He is also an active member of educational councils at more than half-dozen universities including Johns Hopkins University, American University and George Mason University. Frank encourages all citizens to pick their own pivot areas and dedicate time and energy to improve and enhance them. What matters is the quality of investment one makes, rather than the amount of investment. For Frank, philanthropy is not mere lip service. He puts his money where his mouth is making investments in areas which produce measurable and substantive returns. 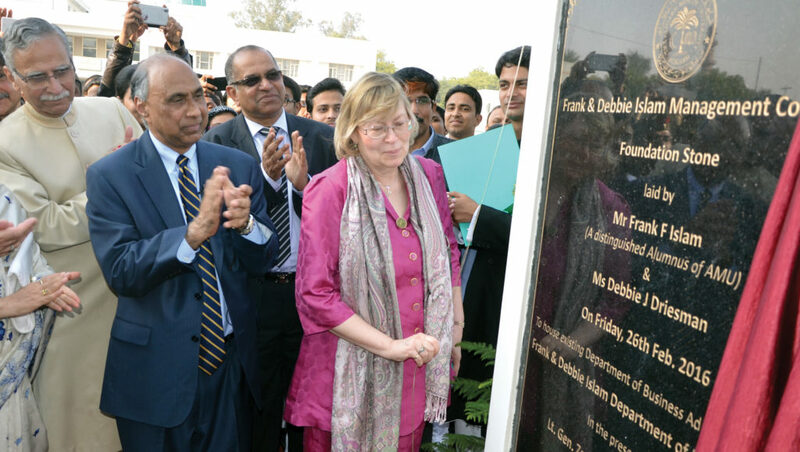 Frank Islam and Debbie Dreisman during the foundation stone laying ceremony of the Frank & Debbie Islam Department of Management in the Aligarh Muslim University campus in Aligarh. Frank Islam has an agenda – to empower the voiceless communities that are shackled in poverty, illiteracy, and deprivation. Whether it is Muslim women in India or coloured races in predominantly- white nations, Frank empathizes with their challenging circumstances. They all face predicaments and prejudices. And the only way to break these shackles is through education. Frank says literacy is the starting point and higher education is the finish line for a brighter and empowered future. Although a Muslim, Frank Islam is against restrictive Islamic practices and traditions that condemn women education and confine them to domestic duties. He feels that when we educate a woman; we educate a family and a nation. One educated woman can trigger a chain reaction among others facing the same circumstances. Frank often propounds that it’s only through education that women will understand their worth and explore their skills. He proclaims that education will open their minds and liberate their souls – financial independence, social acceptance and emotional strength will follow. Women can have them all by completing their studies. Education and empowerment of women is a sweet spot for Frank. In 2015, he came to India as part of the team that the Former U.S President Barack Obama brought to participate in the India-USA CEO Summit meeting in New Delhi. At a visit to Azamgarh during the trip, he observed that the new generations are strong and vibrant, and they are well educated and well informed. He declared, however, that Indian women are not always afforded those opportunities. Because of this Frank is in the process of establishing a technical college for girls in Azamgarh in memory of his mother, who was central to instilling a love for education in him. Frank recognizes that women in India still lag in the educational area beyond high school. They need to develop 21st century skills in order to be successful and to make their fullest contribution to their families and India. In order to secure these skills a technical college of high quality is an excellent place, he feels. In a February 2017 visit to India, Frank and his wife Debbie addressed a gathering of young women students at Fatima Young Girls College at Azamgarh and at AMU. They expressed support for Prime Minister’s national campaign of educating and empowering women. Women entrepreneurship in India is another area that concerns Frank because entrepreneurship creates empowerment. A recently released MasterCard index ranks countries basis their Women’s Advancement Outcomes; Knowledge Assets and Financial Access; and Supporting Entrepreneurial Conditions. India is ranked 49th among 54 countries – discouraging for a country with a large female population and many female leaders. Frank finds further discouraging statistics from National Sample Survey Organization that states that out of all businesses in India, only 14% are helmed by females and 79% of these businesses are self-financed. He envisions a mentoring program for women entrepreneurs to fill in gaps in their knowledge and skills and present them with role models to emulate. Frank has spoken about this in detail in the recently-held Global Entrepreneurship Summit in Hyderabad India. He stressed the need for practical training and support programs for women entrepreneurs in sectors such as manufacturing, engineering and information technology. Encouraging and empowering women to become entrepreneurs. Providing financial resources and support to facilitate their entrepreneurial ventures. Mentoring women to make their enterprises successful. Frank Islam receiving the certificate of Honorary Doctor of Science from Aligarh Muslim University, Aligarh. Muslim youth, Frank feels, is another stratum of society that needs guidance and attention. They yearn to belong but feel different. Fanatic forces can take advantage of their insecurities and lead them on a destructive path. Education and counselling can help strengthen their self-belief. Educated youth will be less vulnerable and more enlightened. 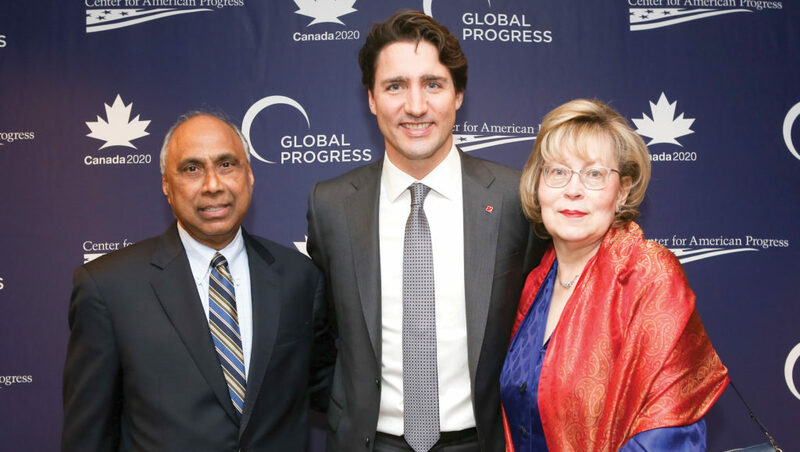 Frank Islam and wife Debbie Driesman with Justin Trudeau, Prime Minister of Canada. Frank is a firm believer in democracy. 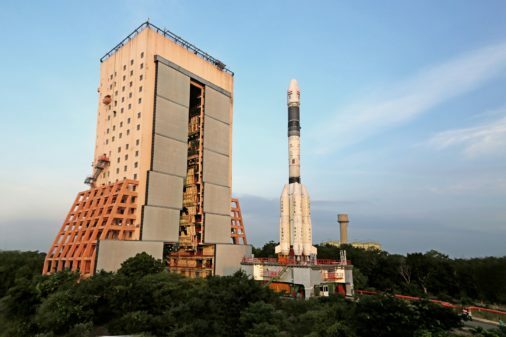 He is proud of being affiliated with the two largest democracies in the world – India and America. Although the two nations differ on many accounts they do have one thing in common – their love for democracy and diversity. Frank feels this fundamental similarity can become a foundation for a deeper association between the two countries. To accomplish, Frank has identified many areas for collaboration and cooperation. These include – education and energy – where he recommends concerted effort. Both countries, he feels, don’t have sufficient community and vocational colleges where youth can learn the tools of the trade and start earning a livelihood, even if they are unable to complete the four or five years required college or university education. Frank understands that practical education is far more important than formal education because it puts food on the table and roof over the head. So, Frank would like the leaders and policy-makers to channel substantial funds towards building application-oriented institutions of higher education for those in the weaker sections. Although both the U.S. and India provide free, compulsory education for all, this stops at the high school level. Higher education beyond that level imparts the necessary knowledge, skills and abilities to compete and secure meaningful employment in the 21st century Frank is also concerned about energy demand and deficit in these populous countries and the impact on climate change. Innovation, technology and legislative and civic efforts will be required move toward a more sustainable future. Overconsumption and wastage should be minimized, while the countries themselves need to become smart and efficient in their energy and resource management. Frank is heartened to see that the progress made in terms of bilateral trade relations between the U.S. and India continues under the Modi administration and the fact that “defining partnership for the 21st century”, as Obama has called it, continues to be defined. We rise by lifting others. Frank Fakhrul Islam illustrates this perfectly. His story is an Indian story. It is an American story. It is an Indian American story. It is a story that transcends boundaries and defines the better of two great nation states.